The group show “O Muro: Rever o Rumo” (The wall: To review the course) initiates a new era at Central Gallery, which is now run by Daniel de Lavor and Fernanda Resstom. The principal thrust of the exhibition is the complex relationship between the city and its inhabitants, shown through paintings, photographs and installations. 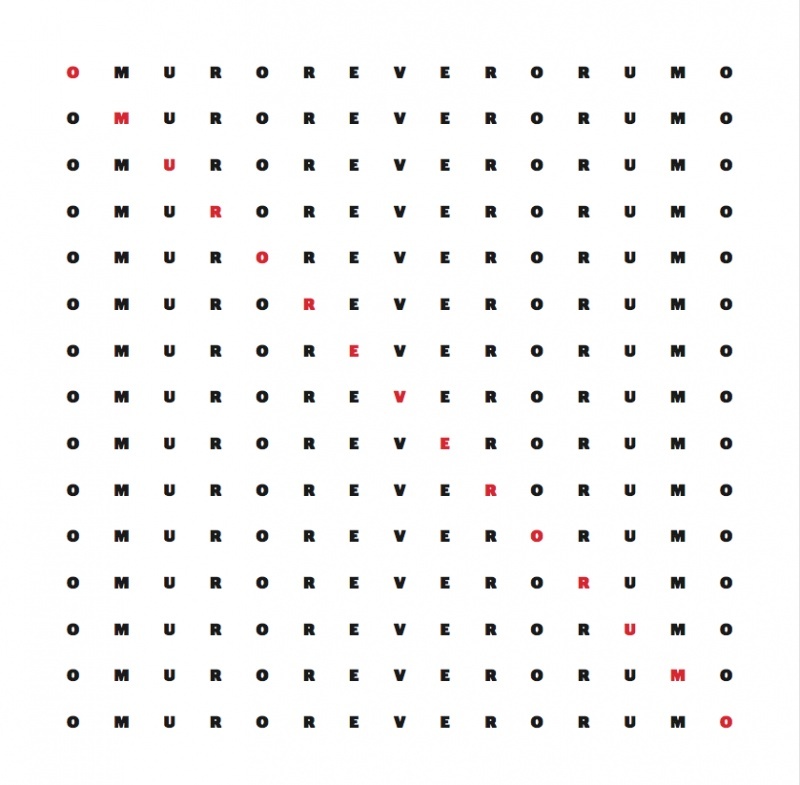 “O Muro: Rever o Rumo” is a palindrome, created by the singer-songwriter Marina Wisnik, who’s been writing these phrases that read the same forwards and backwards since childhood. 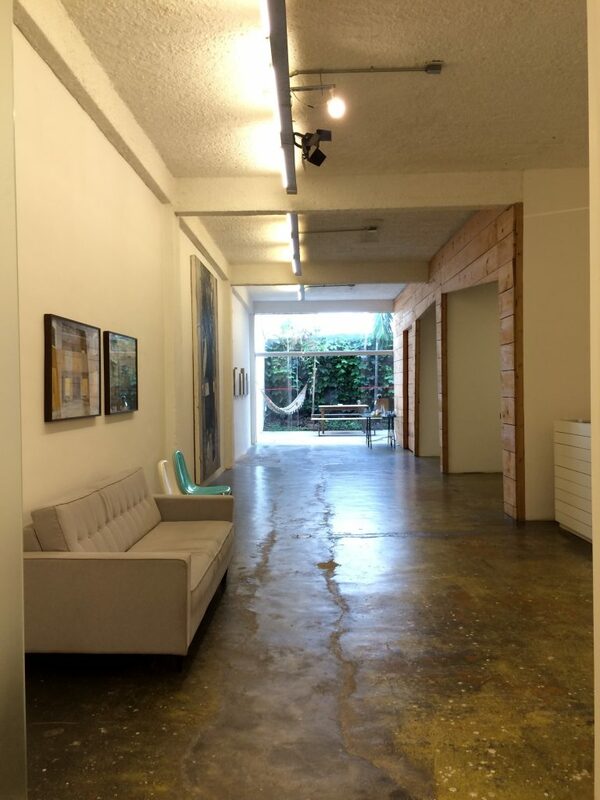 Central Gallery has an open space designed to be inviting while connecting directly with the street, the people and the city. The entrance hall features a video program called “Vídeo de hoje” (today’s video), a retrospective of the Exquisite Corpse project of the artist Kika Nicolela. And then you reach a glass door with the names of all fifteen participants of the show “O Muro: Rever o Rumo”: Alice Quaresma, Amalia Giacomini, Antonio Lee, Carla Chaim, Carolina Martinez, Estela Sokol, Flavia Mielnik, Felipe Seixas, Gabriela Mureb, Gisele Camargo, Laura Gorski, Jaime Lauriano, Massa Falida, Raphael Escobar and Tiago Mestre. 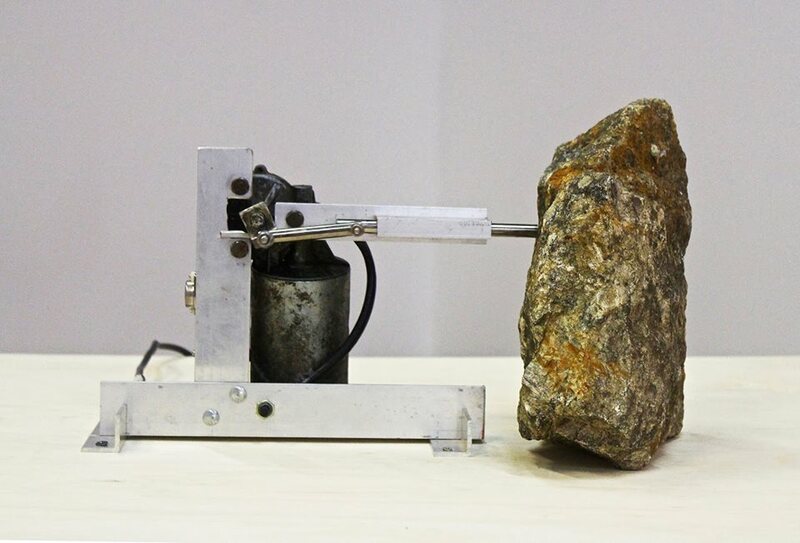 Gabriela Mureb’s work is called “Máquina #4”; made of stone, motor and aluminum, (https://vimeo.com/104666505), it’s a machine that reads both hypnotic and lonely as it forces itself against a stone, repeatedly trying to pierce it, patiently and in vain. 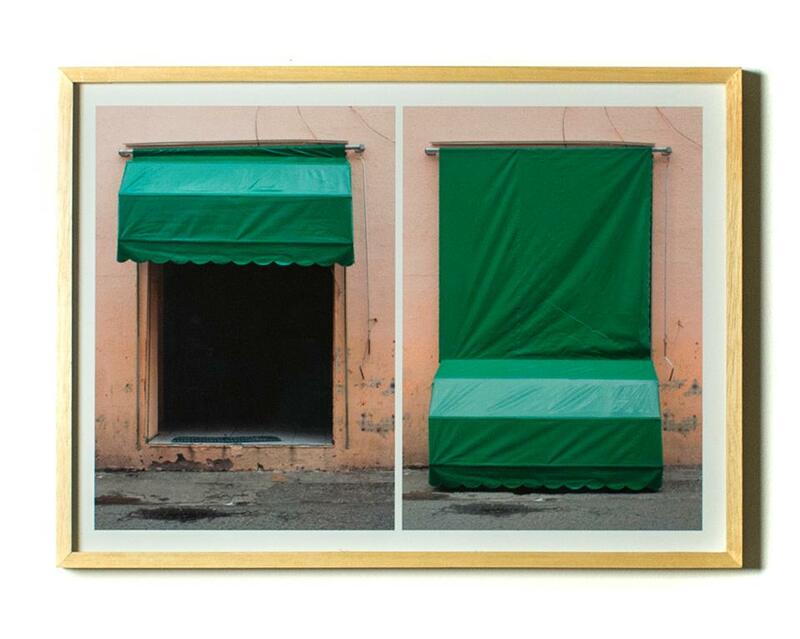 Raphael Escobar’s “Mutualismos” features an urban intervention with retractable awnings that, instead of being installed on top, are lowered in order to become a shelter of sorts, creating a new space within the urban space. Whether in the observation of the use of and building with materials, or even as a protest against structures, the featured works seek to discuss, investigate and question our relationship with the experience of public spaces, both the architecture as well as their role as increasingly limited places for free expression. Natália Coelho, born and raised in São Paulo, is both a multi-disciplinary art director and an art lover. She attended three years of Fine Art school at Centro Universitário Belas Artes, but ended up transferring and graduating in Digital/Multimedia Design at Istituto Europeo di Design. She works at a publishing house as a creative in the marketing and events department. Her passion for art and technology has always been so strong that she decided to dedicate herself to both fields, both as a curious visitor on the alternative art scene in São Paulo and as an experimental creative in daily design projects.